When you think about comparing jobs, you may immediately go to factors like annual salary and weekly hour commitment. A 2010 study by Simply Hired, however, suggests that people are considering more than just these basic traits; flexible work schedules and opportunities for advancement also feature prominently in job seekers’ descriptions of ideal employment. In the construction industry, both of these characteristics can be difficult to find. Flexibility is limited by the many practices that require interdisciplinary teams of workers cooperating on site—Heavy Equipment Operators, for instance, often work simultaneously with Sheet and Structural Metal Workers for installation. Opportunities for advancement may be restricted by the wide variations in skill sets required for different construction roles. Interestingly, however, the U.S. News and World Report has found that this does not mean that flexibility and upward mobility are entirely absent from the industry. If you are interested in seizing control of your schedule or challenging yourself to advance in the workplace, take a look at the guide below. It outlines not only the top occupations in construction for these characteristics, but also the median annual pay for each and the cities that average the highest pay for those personnel. Glaziers enjoy a high level of flexibility thanks to the offsite crafting (glass cutting, designing, etc.) and the wide range of buildings types for which they are responsible. Opting to install stained glass for a church, for example, will likely mean that you can work any time except meeting days (usually Sundays), while apartment building owners might prefer that you stick to regular business hours so as to disturb as few residents as possible. Though this occupation typically allows for high levels of work flexibility, it is also accompanied by higher-than-average stress. The best-paying jobs are usually the most dangerous, involving glass installation for high-rise structures and risk of falling from ladders or scaffolding. Additionally, it requires a significant amount of strenuous physical labor. However, if you are willing to make the compromise and have an interest in environmentally friendly construction, math, and/or design this may be the job for you. These personnel experience a wide variety of assignments and environments. They may be hired to solve anything from roofing leaks to electrical failures. Because they work on existing systems/fixtures and complete their tasks independently, they are able to set their own work agendas with very little conflict (so long as appointments also fit the customer’s schedule). If you are considering this career, make sure to note any specialized training you have/want to complete, as much of what you will be asked to do will entail skilled trades, especially plumbing and electrical circuitry. Jobs in finance/accounting rank slightly lower than Glaziers or Maintenance/Repair Workers for flexibility, but involve significantly less stress and higher wages. If you are willing to settle for moderately decreased control over your schedule, the personal benefits you can achieve by picking a less stressful career path may make this your perfect option. Individuals with QuickBooks, Jonas, and/or Microsoft Excel training have greater chances of being hired and, on average, even receive higher wages. Plumbers do most of their work without much assistance from other members of the construction taskforce, and therefore their schedules are not overly dependent on the rest of the crew. 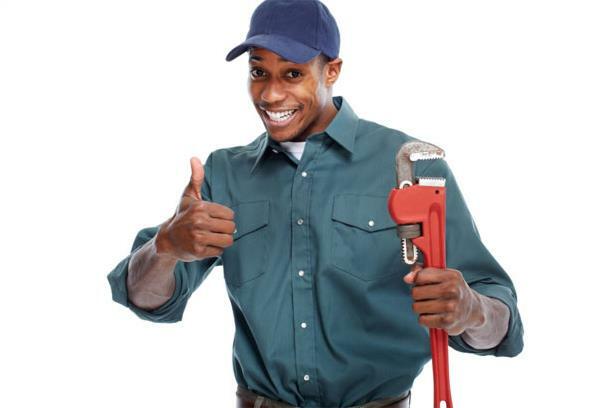 Like maintenance/repair workers, those who are self-employed experience particular flexibility and are able to set appointments to best fit their own and the customer’s schedules. General laborers have some of the greatest opportunity for advancement in the industry. After working this capacity for some time, they may focus in a particular craft/trade, such as electrical wiring or plumbing. Because they are exposed to a large variety of tasks and types of work, these individuals frequently develop a wide base of knowledge that encompasses all areas of construction to build upon when/if they decide to specialize. A civil engineer may eventually opt to move into a supervisory role, design career, or teaching position as well as any of a number of specialties such as architecture, transportation, and water resources. They also possess many transferable skills for environmental engineering. Personnel in this line of work typically advance first from an assistant position to managing sites alone. They then have the opportunity to rise through the ranks to larger and more complicated assignments as appropriate based on past performance and levels of experience. Carpenters with extensive understanding of the various factors influencing the quality, potential issues, and efficiency of their work may be promoted to supervisory or mentoring roles. Those with especially strong proficiency in a particular area (cabinets, fences, etc.) may choose to specialize or even self-employ. These personnel benefit from both high potential for advancement and above-average flexibility in their work schedules. They are employed across a wide spread of ventures including architecture, alternative energy, and nanotechnology. Mechanical engineers who join teams of other engineers are likely to experience less flexibility than those who complete their calculations, designs, and tests individually.